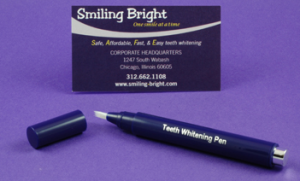 If you are new to SaveMore, you’ll be able to snag a Free Smiling Bright Teeth Whitening Pen today. The pens are priced at $8.50 and shipped for FREE. Plus, when you sign up for SaveMore, you immediately get a free $10 credit which you can use to get a Free pen. Today’s Daily Deals – Dancing Deer Baking, Body Up, Elegant Cheese Cakes & More!